Well, this one actually was lunch...but would be perfect for a light summer dinner as well. Due to my tomato allergy, I have to get creative with my pizzas. And, they have to be gluten free. Fun, I know. 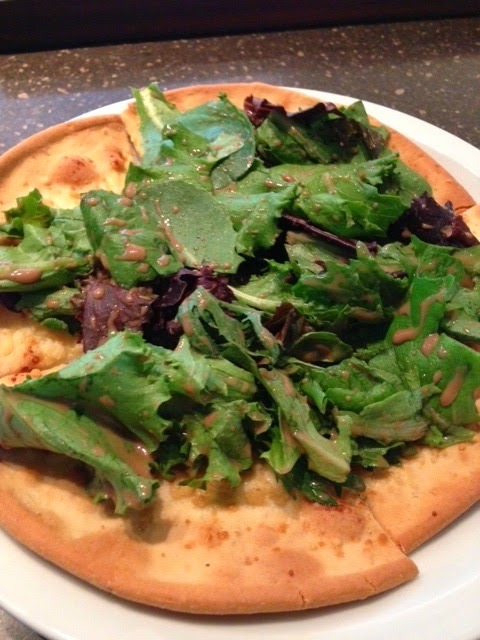 California Pizza Kitchen (CPK) offers a gluten free crust. I usually get their white pizza, but sub the crust for gluten free and do okay. As a summer special they came out with a Tricolore' pizza...a parmesan, garlic and olive oil crust topped with a spring salad mix and balsamic vinaigrette. Today, I decided to create my own version. It was super simple and so yummy. Kinda like eating flatbread with your salad. Place crust on a pizza pan. Drizzle or spritz ( I have a mister) crust with olive oil. Sprinkle with a bit of garlic powder, parmesan cheese and minced garlic. Bake as directed (about 5-7 minutes). In the meantime, wash greens and pat dry (my salad spinner broke). Toss greens with balsamic dressing to lightly coat. Once the crust is done, cut it BEFORE adding the salad topping. I just find this works better. Top the crust with the salad. It is that easy. I am always looking for quick and easy summertime meals to make. 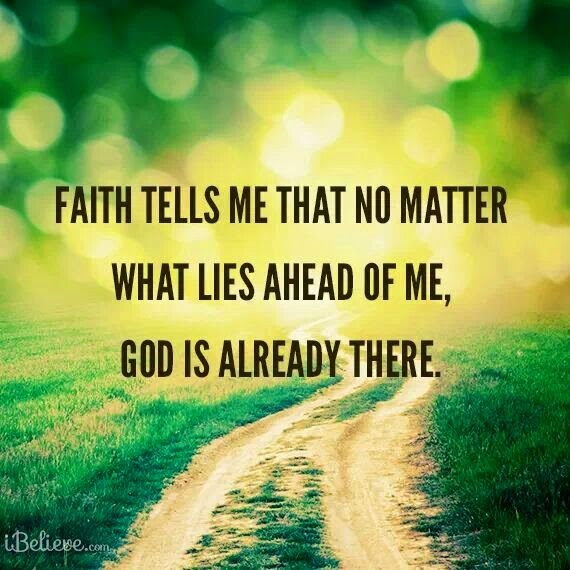 Words for this Sunday morning. Have a wonderful week everyone! Hi Everyone!! I have hacked my moms blog (with her permission of course!). I am her oldest daughter, also referred to as #1 and babygirl #1 and Elie. Being a teacher means having an awesome summer vacation full of..... NOTHING! no deadlines, no IEP's, no meetings, nothing but the sun, pool and a few...well 20 projects. I live in an apartment and have inherited many amazing Pottery Barn pieces from my parents. 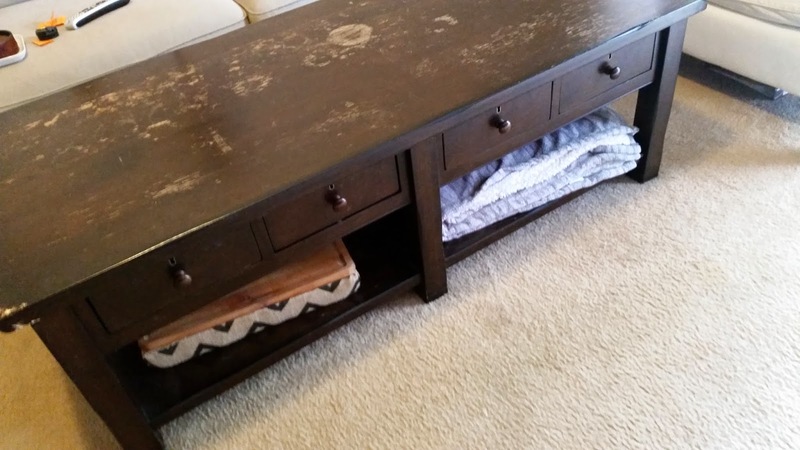 While I love adore am obsessed with Pottery Barn, our coffee table was just no longer practical. It was super heavy and I was constantly moving it to eat at, vacuum around, move out of the way when we had people over, you get the picture. I decided I wanted something more practical for us, yet refused to spend a ton of $$$ since it is only an apartment. 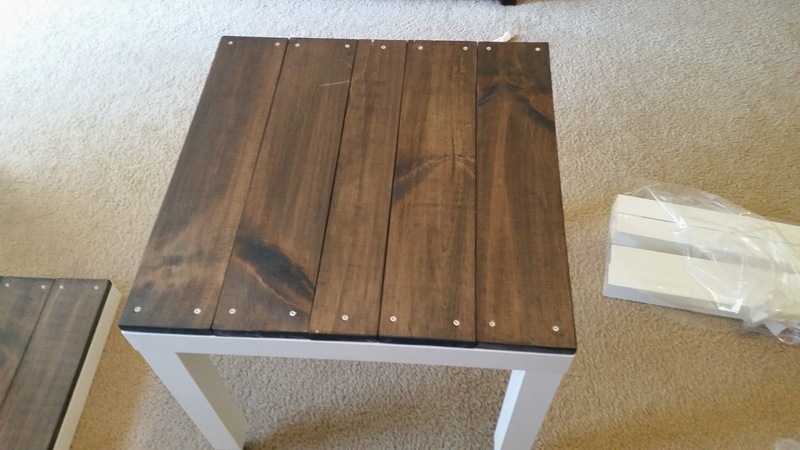 I saw some pins on Pinterest where people had taken the cheap IKEA Lack coffee tables and had added wooden planks to the top. 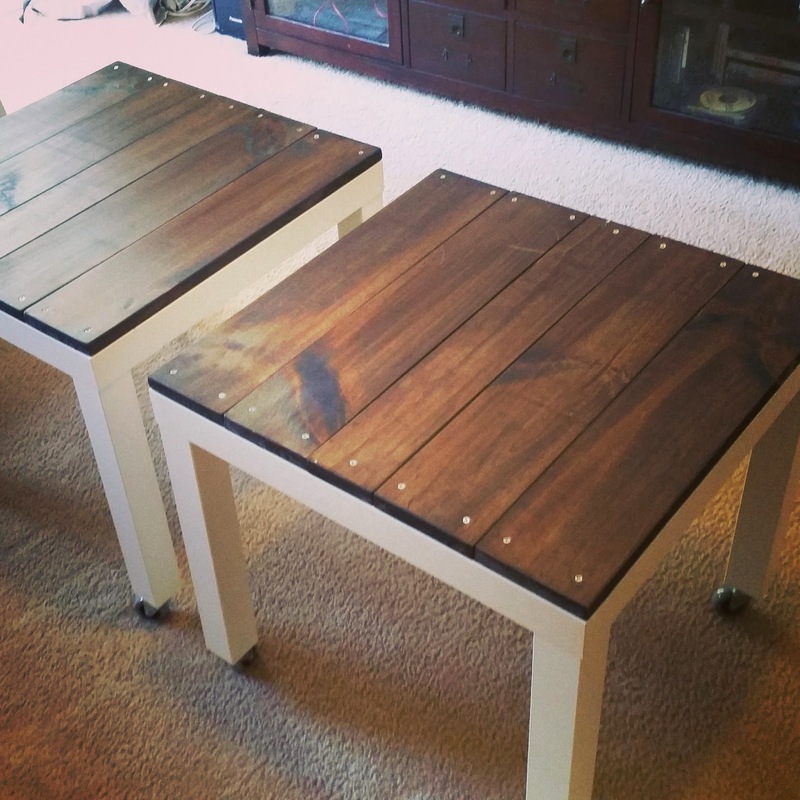 I loved the idea, however I wanted two tables that could be used as side tables or as a makeshift coffee table. Finally, my sweet mommy and I made a trip to IKEA. 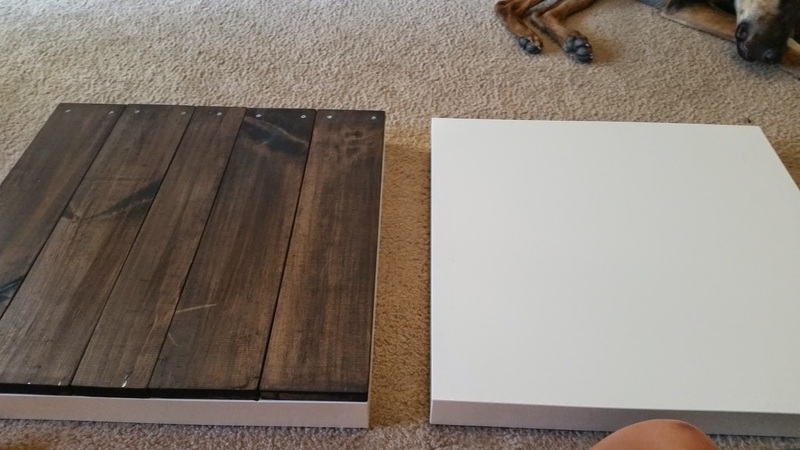 I decided (with her help) on two white IKEA Lack side tables. 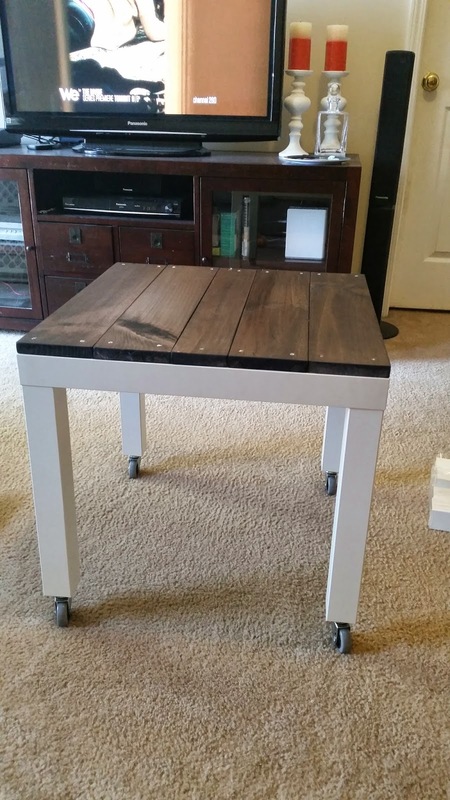 Because we like to eat in front of the TV and the Lack tables are somewhat short, we agreed that adding casters would not only help with the height but with the ability to move them around. I already knew I wanted to add wood planks to the tops of the tables. 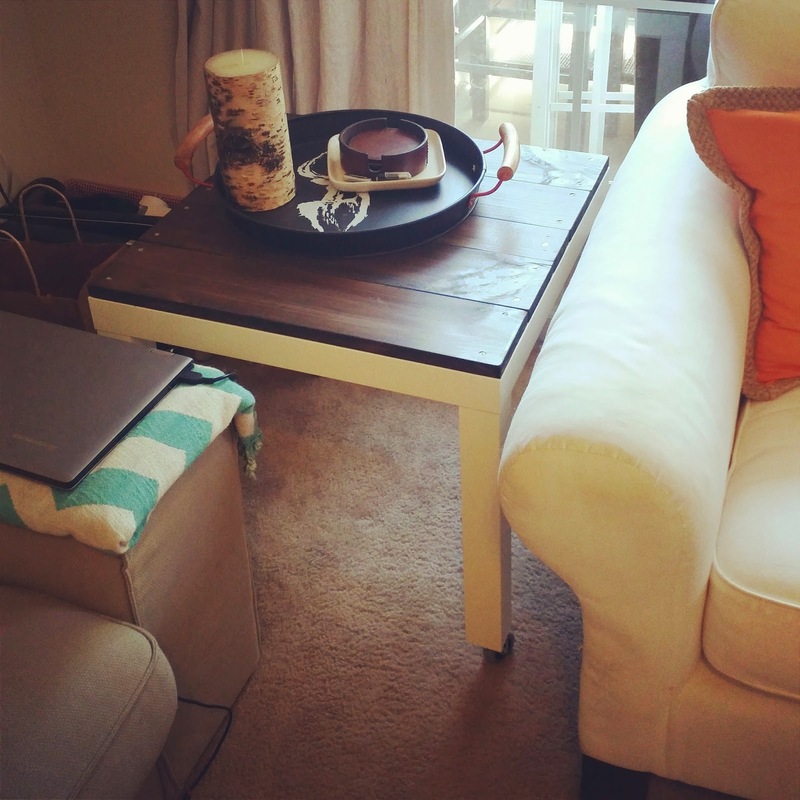 So I easily sold our beloved (very much worn) Pottery Barn coffee table and went to work on the new side tables. I have to say... this was a tough one when it came to the wood, dimensions and MATH (FYI I AM NOT A MATH PERSON). The new IKEA Lack side tables are 21 5/8 (square), not exactly easy to divide into even parts. After several hours days I finally figured out my math for the size of the planks. I had some leftover pine and I also scored at my local Home Depot for pine boards at $0.69 a piece! Of course because I live in an apartment I am not fortunate enough to have space for all these cool power tools so I asked my dad if he could rip the boards for me. One hour, one afternoon, and dad had them all cut for me! My math calculation was a success (this is very rare!). That night I stained the boards (pine is great for staining because it soaks up stain well and dries quick). The next day I bought some wood screws and went to town on bolting my planks to the tops on my tables. It took no time and I am beyond happy with how they turned out!! The IKEA lack side tables are 21 5/8" square. 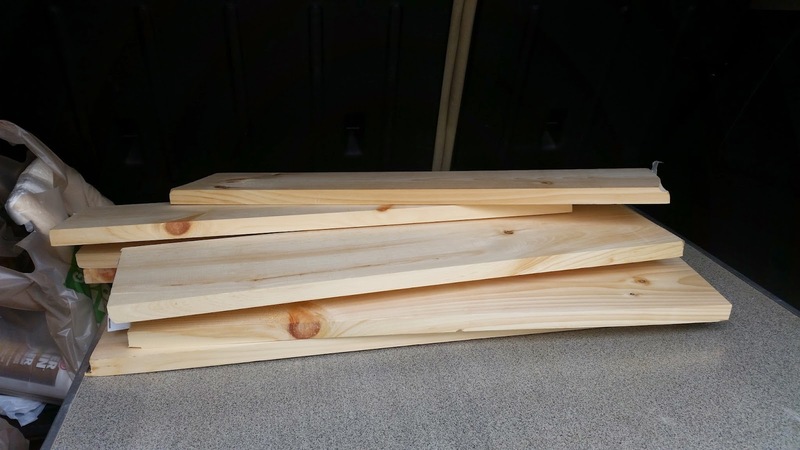 The length on each board should be 21 5/8"
My dad used a table saw to make the cuts and it worked perfectly. I am soo glad I chose to do this project, the tables are very practical and soo easy to move. We actually made this dish on Sunday evening, but it was so yummy I had to share. Baby Girl, otherwise known as #2, found this recipe on Pinterest and had made it prior to coming home. She raved about how yummy it was. So, of course we had to try it. It was every bit as delicious as she said it was. In a medium bowl, whisk together olive oil, Parmesan, garlic, brown sugar, soy sauce and red pepper flakes. In a gallon size Ziploc bag or large bowl, combine shrimp and olive oil mixture; marinate for at least 30 minutes to overnight, turning bag occasionally. Serve immediately, garnished with Parmesan and green onions, if desired. It would be great served with a crusty loaf of French bread (regular or gluten free). I actually shared a picture of this dish the other night on Instagram. The dish was delicious, so I thought I would share it with you today. The recipe is in the July issue of Bon Appetit and can be found here. 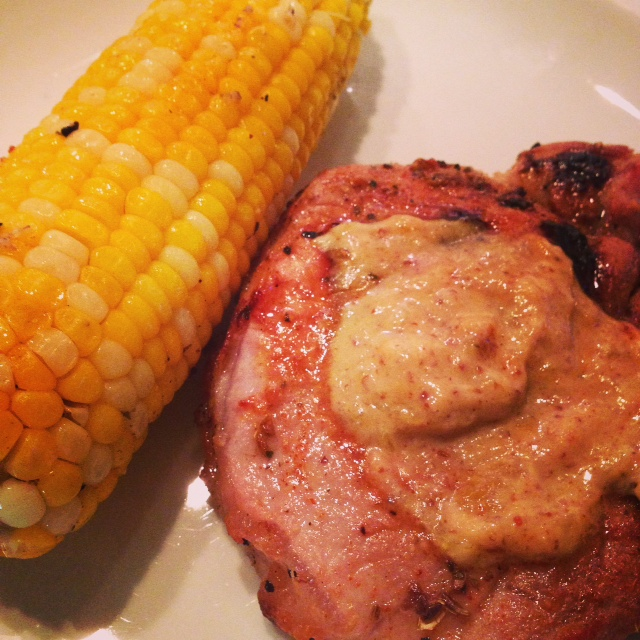 We substituted bone in pork chops for the pork loin and it worked beautifully. This was a recipe we did not have to do much tweaking to adapting it to gluten free. We served it with grilled herb-butter corn on the cob. Thank you to everyone for your kind words on Baby Girl's room reveal. She arrived home safely last night, and she LOVES it. Today is the day! For those of you who follow me on Instagram, you know I have been working on baby girl's room in anticipation of her arrival home from the university. Well, she is due to arrive home this evening after a VERY long drive (12 hours). Her sweet beau flew out on Saturday to tour campus, and to make the drive back home with her. The worst part of their trip is over...getting out of Texas! When they say "everything is bigger in Texas" they mean it. It takes her 3 hours, give or take, just to get out of the state!! From there on out, it is a straight shot home. I know ya'll are ready for the pictures, but just a couple of things first. I had a few ask about the paint I used for her furniture. 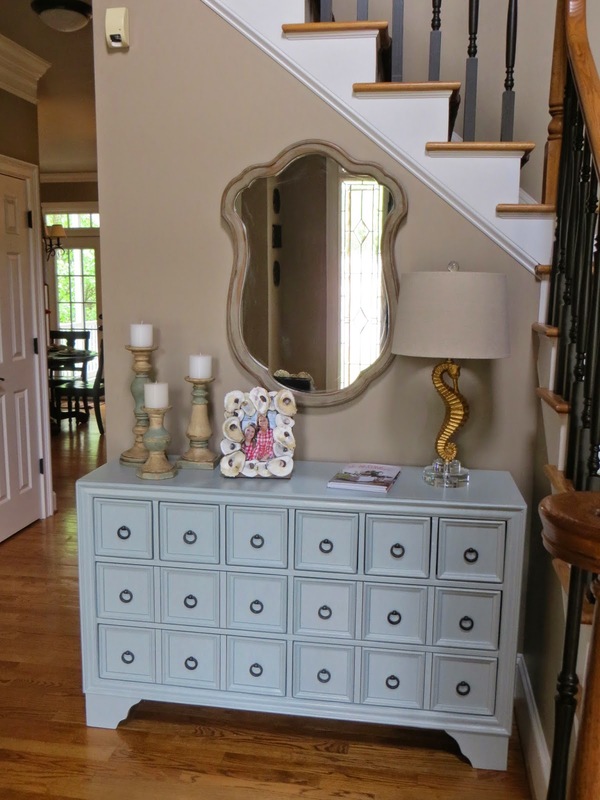 I used the same primer and paint for this project as I did when I redid our Pottery Barn piece and mirror. Primer: Gripper (white) by Glidden found at Home Depot. 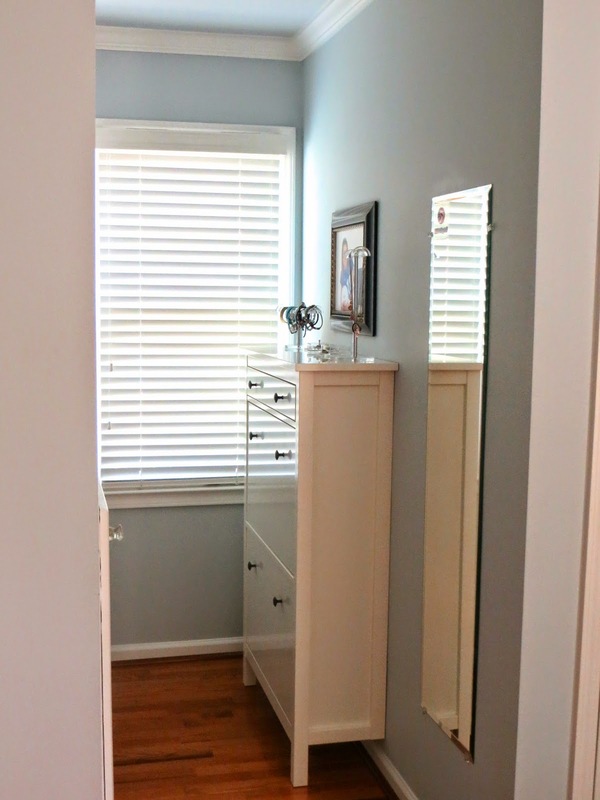 Paint: Advance (semi-gloss-color matched to Ikea drawer) by Benjamin Moore. Dresser Handles: Rustoleum Spray Paint & Primer in one (flat soft iron). Gripper is my go to primer! I have used it on many furniture pieces, our entertainment center, mantle and bath room cabinets. You only have to lightly scuff sand any shiny finishes and you are good to go. I generally apply two light coats. The primer also comes in gray, and the white can be tinted as well. I had it tinted when painting our entertainment center, mantle and cabinets since I was going from white to dark chocolate brown. Less top coats!! 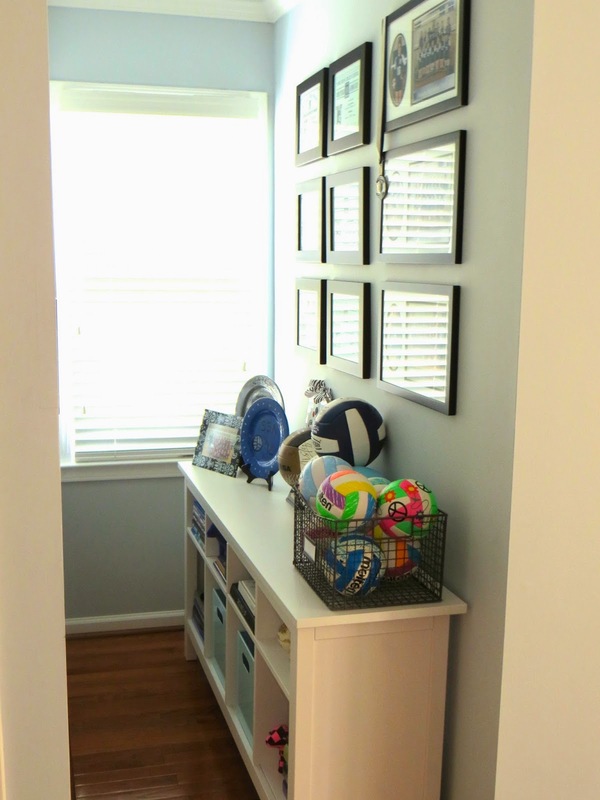 My first time using Advance by Benjamin Moore was when I redid our Pottery Barn piece. It was on a recommendation from the gentleman at the paint store. All I can say is, where was this paint when I did all those other projects??!!! It is the easiest paint to use. 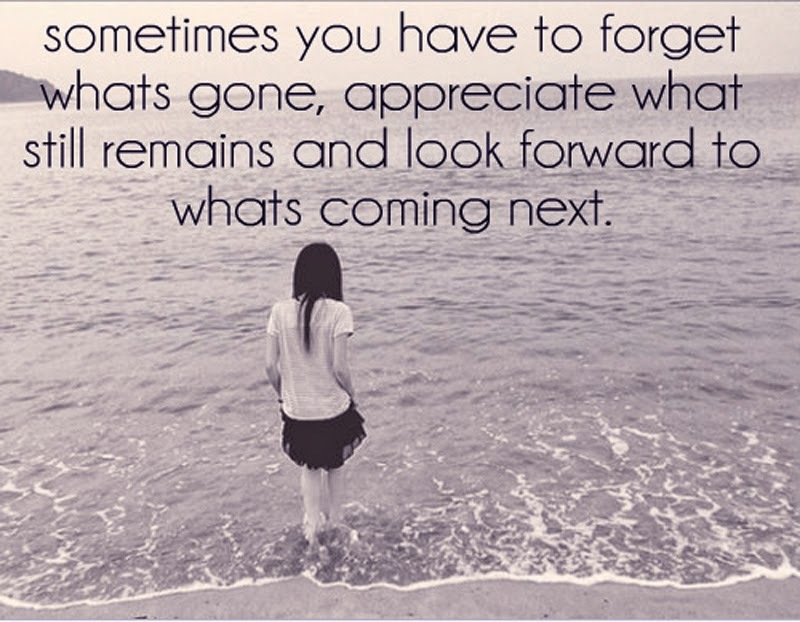 A little goes a VERY VERY long way. I used a brush for the intricate parts, and rolled the rest with a sponge roller. This paint flattens out as it dries and cures...no brush/roller marks. You can see them a bit when applying, but trust me, for the most part they disappear. With all the pieces, I applied two light primer coats. Advance has a built in primer, but in both instances I was taking very dark (red and black in this case) to light or white. And, then applied 3 light top coats. On some pieces I am sure you can get away with 1 coat of primer and two top coats. The primer dries quickly, and the paint generally sets up overnight. Even in our gosh awful humidity!! Her dresser handles I sprayed with a couple coats of Rustoleum to match handles on her other dresser in the room. Okay, without further ado...here is the room. I tried to get the best shots this morning, but as you can see her room gets full on sun through the side windows making it a little difficult for this amateur. Study area to the left, repainted bed and dresser. This dresser was a find at a local flea/antique store years back. A closer look at the details on the dresser and the handles. 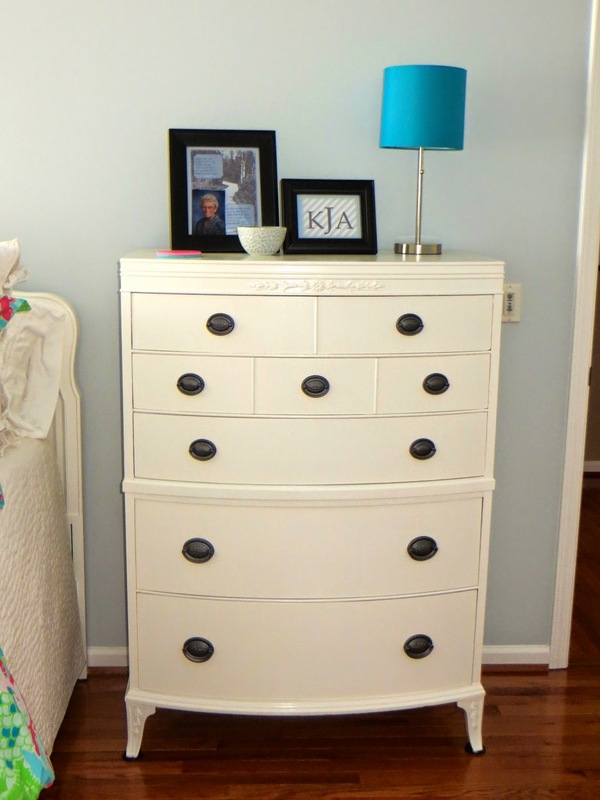 Ikea Hemnes 8 drawer dresser. I used a drawer from this to have the paint color matched. The mirror is the one that used to hang in our downstairs foyer. This wall was originally solid. When this room was our girls playroom, we added the nook for our big screen tv, when the room became our oldest's we added the bench seat that houses storage below (under the cushion is a hinged top). We will add some more pillows and a throw to this area. This room has two dormer spaces that are fairly tight. 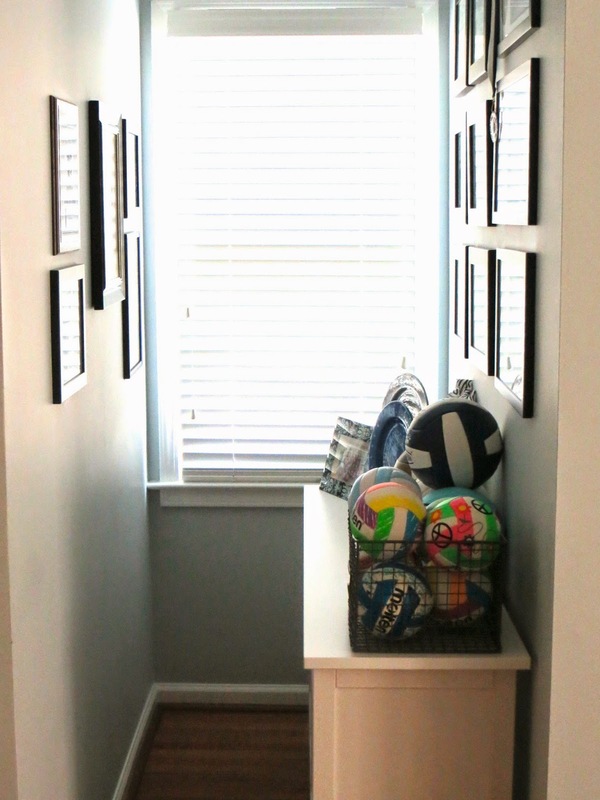 This one showcases all her volleyball awards, medals, pictures and balls. The wire basket is from Home Goods and holds her mini souvenier tournament balls. 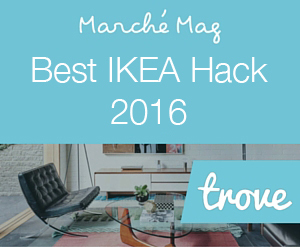 The bookcase is the Hemnes bookcase from Ikea. This is perfect for storing books, yearbooks, keepsakes, and her collection of Bibles. 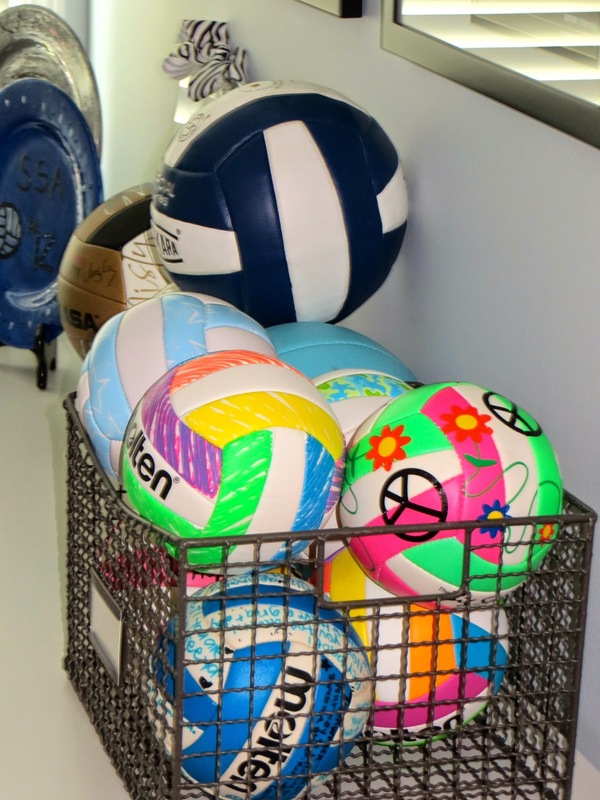 A closer look at her volleyball collection. Study area. This girl has spent many an hour at that desk. Someday I will have to share an up close picture of her desk chair and the reason why I refuse to paint it!!! 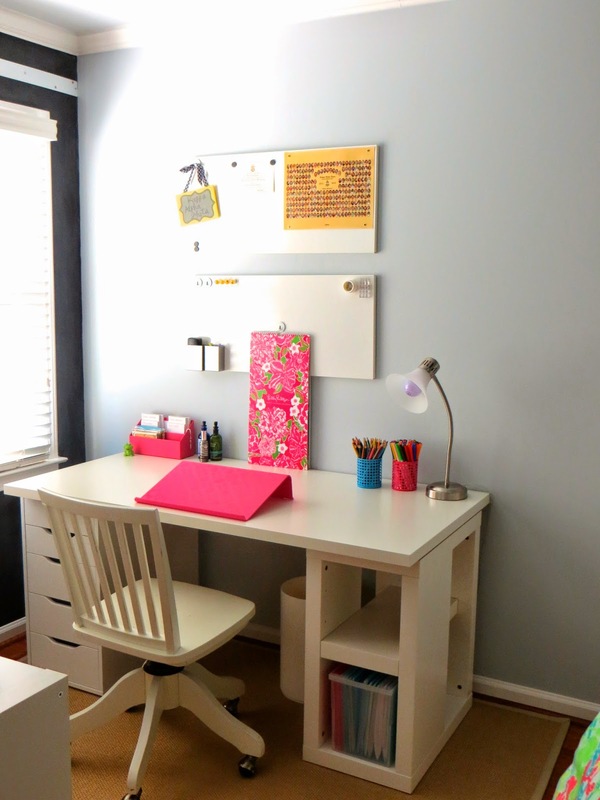 The desk and bookcase are from Ikea. Why they did away with the expedit is beyond me. The new version does not look as sturdy. A closer look at the desk. 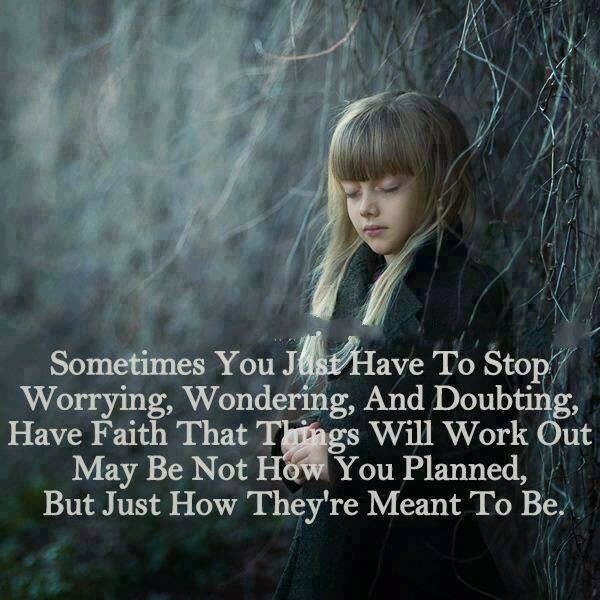 Perfect for adding some inspiration. This is the other dormer. The Hemnes dresser/shoe storage is from Ikea as well and holds her jewelry and shoes (well, some of them anyway...this girls loves her shoes just like her sister). And, a full length mirror. Close up of her bedding. The white quilt and shams are from Pottery Barn (pick stitch) and the Lilly bedding is from Garnett Hill. The throw pillow I had made along with her bench cushion by our local upholsterer, and then had a girlfriend monogram it for her. Cork coasters I painted to help protect the finish on her newly painted dresser. This girl loves her sweet tea!!! Well, there you have it! I am just glad I got it all done in time (hence my lack of posts lately). We can't wait for her to arrive home. I was recently contacted by Heather Von St. James, and was honored and humbled that she asked if I would be willing to write a post about her...but more importantly about Mesothelioma awareness. How could I not. 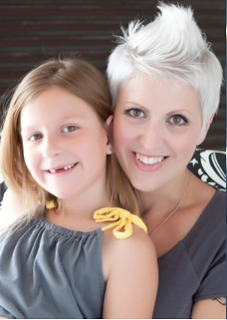 She is a mother like me, has a beautiful daughter Lily Rose, and is a very courageous cancer survivor. What she did not know is that my father-in-law worked in an environment full of asbestos, as a plumber in a northern school system and that my husband attended those very schools as well. My father-in-law lived to be 93, and my husband is 56...I pray his good health continues. A bit about Heather, and how she came to have Mesothelioma. Heather had just given birth 3 1/2 months prior to sweet Lily Rose, when her doctors broke the news. Three words no one ever wants to hear..."You have cancer" or more specifically, " You have malignant pleural mesothelioma". A cancer caused primarily by asbestos exposure. Something at the time I am sure not many had even heard about! Heather was just 36. Mesothelioma generally tends to be diagnosed in older men.. Why? They generally are the ones working in fields where they might be exposed to asbestos, plumbing or heating (like my father-in-law), electricians, mechanics and sometimes military personnel who have worked on board ships. Many wives of the very same men, also became sick. Why? They were the ones handling their husbands laundry...shaking out the dust before putting the clothes in the wash (we have all done this, just not with asbestos), their clothes were caked in asbestos dust from their days work. And, many women who had worked in schools that had asbestos also became ill. As I mentioned, my father-in-law worked in such a school and my husband recalls seeing it as well. Now I am sure you are wondering how Jennifer came into contact with asbestos. The answer is that her father worked in construction, mainly drywall work. The dust was on his clothing. The very clothing he wore from the site he was working on back into his own home. White dust, innocent enough, right? Very wrong! He was unknowingly exposing his family, his young daughter, to asbestos. 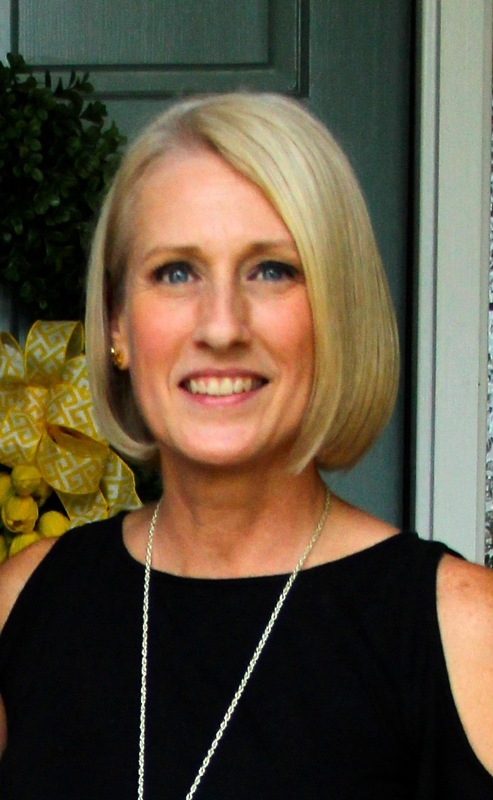 Heather was one of the earlier diagnosed patients with mesothelioma, a new and very scary cancer trend. These were young people and young adults who had been exposed as children. Some exposed by coming in contact with dust on their parents clothing from their work site like Heather, some exposed because they came in contact with asbestos tiles found in older schools, some in insulation found in attics of the family home. Innocent, unknowing children. Some just wanted to hug their daddy after a long day at work. Heartbreaking. They had no clue. 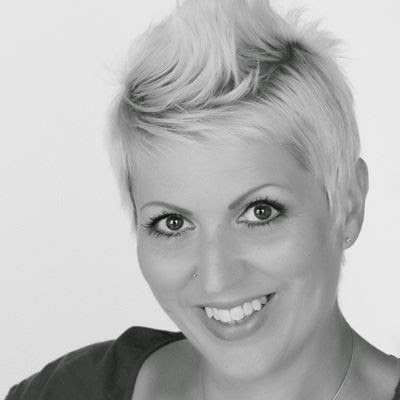 Heather has since become very involved in the research and awareness of this form of cancer. Many of those she comes in contact with in the mesothelioma community are just in their 20s-30s, their whole life ahead of them, but right now they are trying to survive this form of cancer instead. The good news...many advances have been made in the treatment of this disease, and more people are surviving. I truly believe this is due to courageous people like Heather, who have spear headed a movement for more research and through people like me are spreading awareness to others. I would encourage all of you to visit www.mesothelioma.com to learn more, and to read more about Heather. Heather, thank you for reaching out to me. You will continue to be in my prayers, and I thank you for your dedication to this disease.